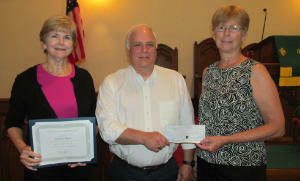 A $100 check was presented to Jim Davis for the City Gate Mission. 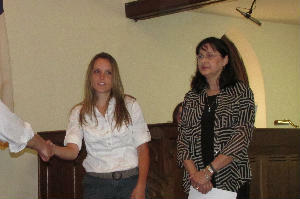 A $100 check was presented to Mary Ann Sutton for the New Garment Association. due to Lisa Gross' volunteer services. 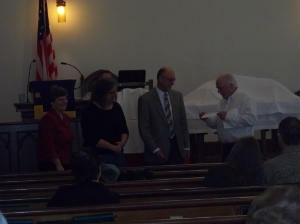 receiving the certificate from Elder Bob Weidenmuller. as a nurse with their summer camps and as a member of the Board, currently serving as secretary. 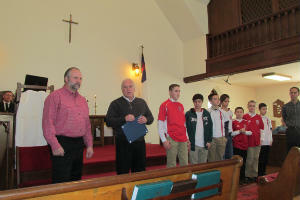 followed by members of the White Clay Creek Soccer Club. 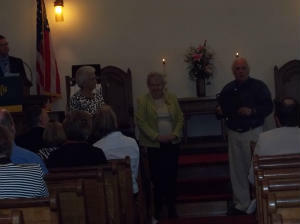 The Soccer Club received $100 from the church on behalf of Rob's enthusiastic service! 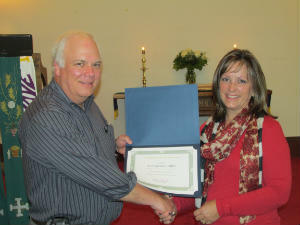 Elder Bob Weidenmuller with Terri Weidenmuller who was recognized for her work with Young Moms. 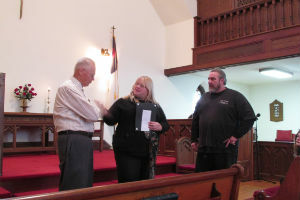 Pastor Charlie Gross (right) accepted the $100 on check on behalf of Young Moms. raising funds for the American Cancer Society. 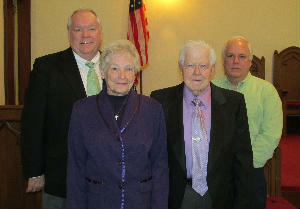 Dot and Jerry Parsons, and Elder Bob Weidenmuller.